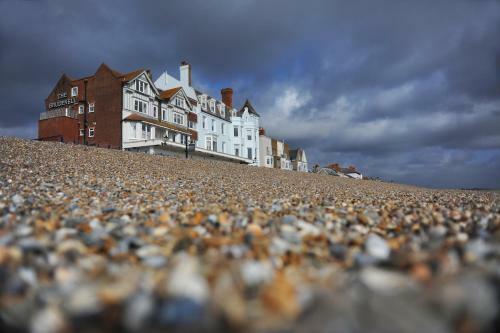 Nature-lovers and foodies will love the venue for Aldeburgh Food Festival. The historic buildings of Snape Maltings surrounded by wetlands make it a unique place to taste Suffolk’s finest produce. Aldeburgh Food Festival is one of my personal favourites. Spending a weekend on the Suffolk coast is always a pleasure but even more so in late September when you can taste Suffolk’s best produce in the historic setting of Snape Maltings. Once an important site in Britain’s brewing heritage, it hosts a festival that is understated, tasteful and not too crowded like some I’ve visited. It attracts a relaxed and arty crowd including Londoners up for the weekend. Breton t-shirts and good-natured black labradors abound. Stay in the nearby seaside resorts of Aldeburgh, Orford or Southwold and extend your visit to enjoy the two-week programme of fringe events accompanying the festival. For over 11 years, Aldeburgh Food Festival has been an annual celebration of Suffolk produce. Driving around this flat county, you can’t fail to see that this is rich farming country. There are farm shops everywhere and in villages, honesty boxes selling wonky veg, eggs and flowers. Suffolk simply has fantastic food and drinks producers. Both large and small, they are highly visible in the county’s restaurants, pubs, cafés and food shops. Come harvest time, a day out at Aldeburgh Food Festival is a really enjoyable way to get to know them and to taste Suffolk’s delicious bounty. The historic setting of Snape Maltings situated on the edge of the river Alde and surrounded by wetlands, really does make this festival location unique. The Victorian buildings are where barley was once malted before being transported by Thames barge to breweries across the country. They cover seven acres and are now filled with independent shops, galleries and eateries giving visitors so much more to enjoy. Festival goers are encouraged to explore the buildings including the famous concert hall which was rescued by Benjamin Britten back in the 1950s. It was on the ground floor where the furnaces were positioned to heat the floor above and roast the barley. You’ll find fisherman moored up selling fresh fish straight from the boat and over a hundred local producers including new start-ups. Adnams, the historic brewery that is at the heart of Southwold offers beer tastings in their Boat Bar. You can also try gin and whisky from Adnams Copper House Distillery. 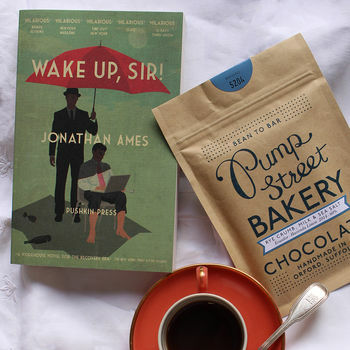 The Pump Street Bakery, based in nearby Orford, sells rustic sourdough loaves and pastries alongside their award-winning single estate chocolate bars (try the scrumptious and crunchy sourdough and sea salt). At the stand for Pinneys of Orford, a long established and traditional smokehouse, you can pick up lobster, smoked fish and paté. 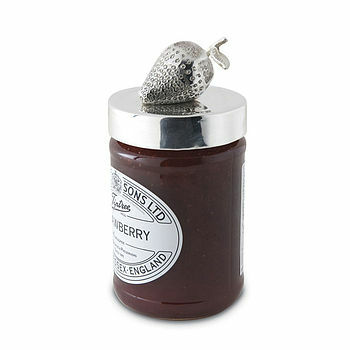 Try Wilkinson’s jams and chutneys from Tiptree and don’t go home without a local cheese. Particularly good is the St. Jude made from raw milk from Montbeliard cows and Suffolk Brie, a rich-creamy and full-flavoured cheese from a small herd of pedigree Guernseys. Choosing what to eat for lunch from the many pop-up street food vans and stalls is a lovely dilemma. The smell of roasted Gressingham duck is hard to resist. Served in a wrap with spring onions and Stoke’s Hoisin sauce it attracts an eager queue of punters. There are burgers made using premium Longhorn beef from Kenton Hall Estate, fish and chips served in cones from The Fish Hut and fruity and creamy Alder Carr ice creams served from Audrey, their vintage van (try the gooseberry and elderflower flavour). Well behaved dogs are welcome to the festival but are not allowed in the food marquees or building. Find more Foodie Things To Do in Suffolk. Discover more Food Festivals and Events.